I had a jones for Italian street food on my lunch break. Normally, I’m pretty disciplined about eating only what I pack from home, but damn, this was what crack addiction must feel like. I NEEDED ARANCINI. There’s a place by my job called L’Appetito that I walked past for years but never eaten in and they sell Italian street food goodies like pizza, gelato and arancini. There they were in the heated case: golden, lovely deep fried balls of rice and bread crumbs stuffed with deliciousness: arancini. I ordered one arancino went after that sucker like my cat gobbles his dinner and it was….so nasty. L’Appetito had managed to take one of the world’s most tantalizing foods and turn it into a heavy ball of greasy, salty blandness that my junior high school cafeteria might have served on an off day. 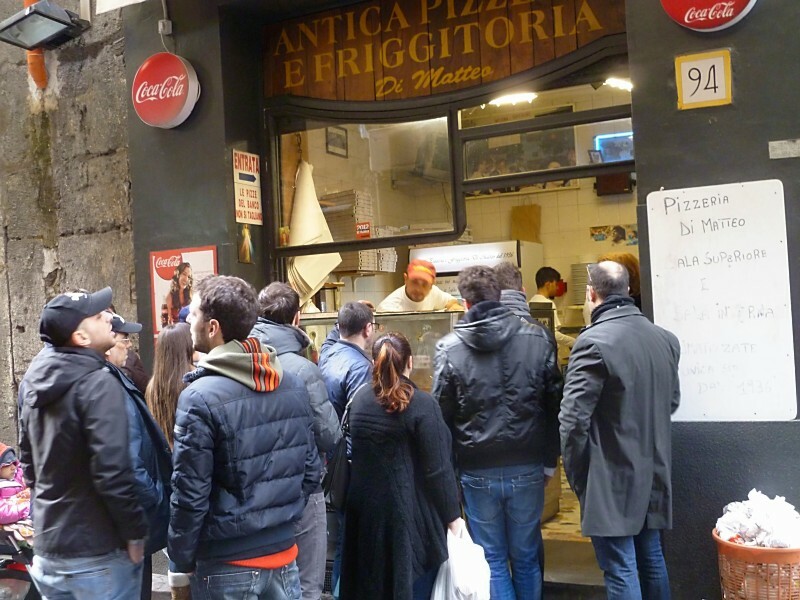 Now here’s is what I had in mind: HOB and I are walking through the Spaccanapoli neighborhood in Naples, Italy when we saw a crowd gathered around an open window of a pizzeria–Pizzeria Di Matteo. I shoved my way to the front and ordered two arancini and a pizza con friarielli e salsiccia (sausage pizza with a kind of greens like broccolli rabe). That pizza was done in under five minutes, and the pizza plus arancini cost about 7 euro total. We found a nearby bench and inhaled the food, ripping apart the pizza with our hands, eating every scrap and licking our fingers. And those arancini? Ah, so delicate and decadent, with toothsome rice and savory gravy inside. This, people, is how it’s supposed to work with street food. We’ll be back in Naples, and on to Sicily, in early 2014. Save us a spot on the bench in Spaccanapoli. These people know how to find tasty arancini. 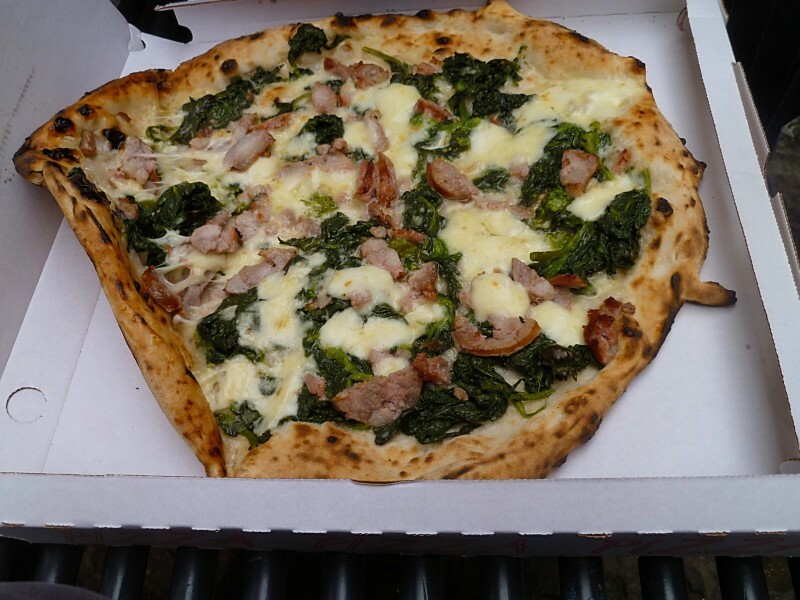 Pizza con friarielli e salsiccia from Pizzeria Di Matteo. Exactly how jealous are you?